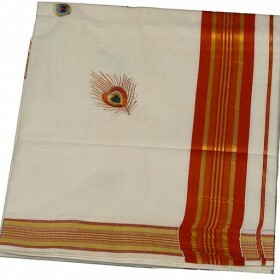 New trendy Kerala pattu pavadi with off white colour and mural design on it. 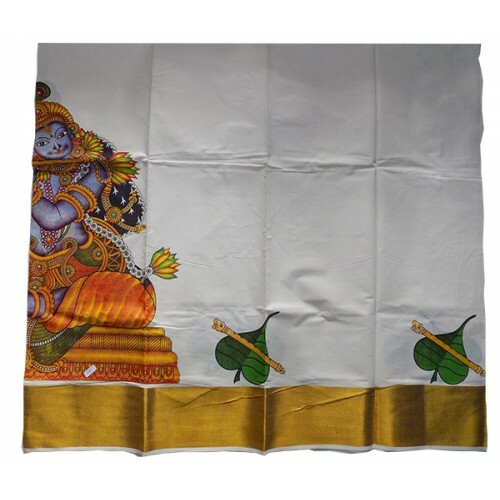 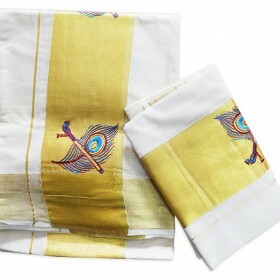 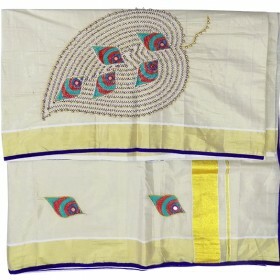 It has a large mural design of Sri Krishna and 6 inches golden border, aalila and flute along with it. 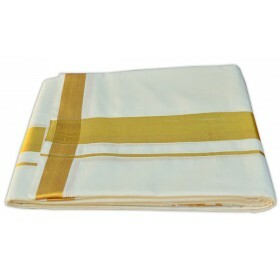 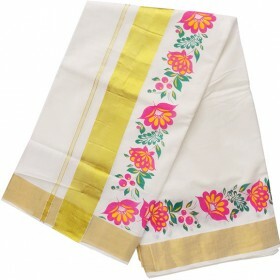 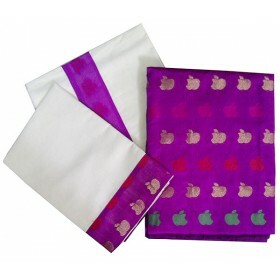 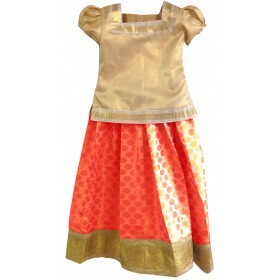 This can be used for traditional functions and also for any special occasion to make your children pretty one. 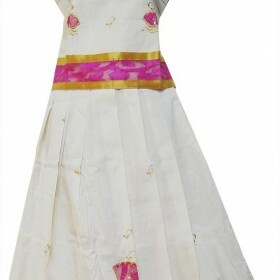 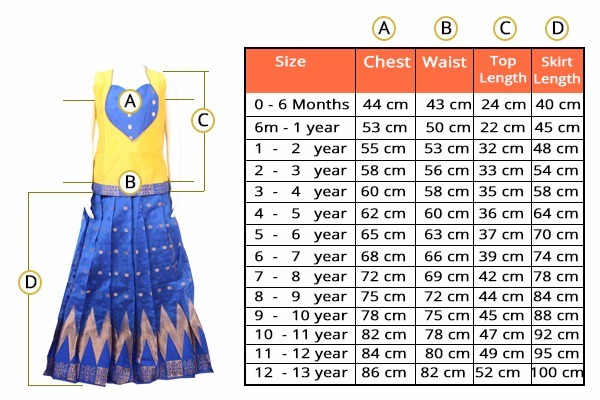 This will be one of your best gift to your children to get their love.it have blouse piece along.